It might be a pain living with certain kinds of allergies that affect your skin. Whether it be from poison ivy, eczema, pollen, pollution or etc., you have probably dealt with chemically-smelling ointments or medications to relieve any itching, redness, or skin sensitivity. It’s a wise decision to treat your dermal condition naturally with a gentle skin allergy treatment home remedy. Allergic reactions on the skin can sometimes be considered open wounds. It might be susceptible to infection or inflammation, so you could use an antibiotic cream to prevent that. Many people don’t realize that a natural, simple, and gentle home remedy for skin allergies can prevent infection and inflammation more effectively while being very gentle. Epsom salt is a common bathroom item in people’s homes. Your grandma probably uses this stuff and you don’t know why. This salt was popular a few decades ago, but has started falling out for some reason. 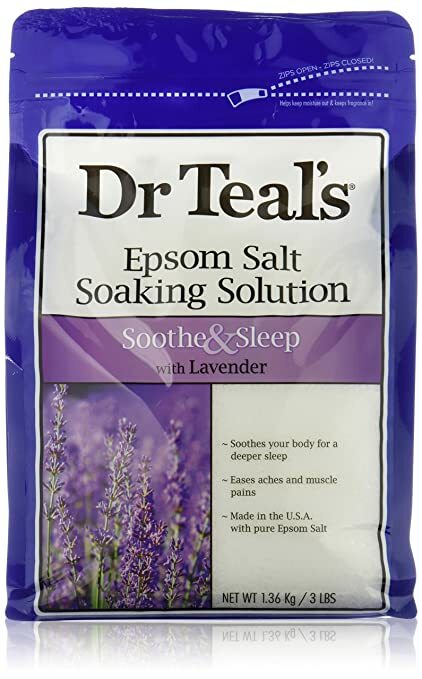 I love this epsom salt, it’s so relaxing with natural lavender. Click the image for the best price! Epsom salt is the best medicine for skin allergy because it is made of minerals that soothe the skin’s cells. Magnesium and sulfite can be absorbed into your skin cells when soaked in warm water. Taking a bath in this stuff is also amazing because the magnesium is very soothing. Some of the salts have lavender essential oil added to it, so it smells really relaxing too. Aloe vera is excellent for all kinds of skin conditions. It’s popular for its use on sunburns, but it can actually be extremely soothing and relieve inflammation and irritation. These plants grow all over in the Southwest of the United States. The inside of the aloe vera leaf contains nutritious gel that is full of essential fatty acids, enzymes and vitamins. This is a great plant to grow inside as an indoor plant that purifies air. It is said to produce oxygen and absorb harmful allergic chemicals from the air. You can then harvest the leaves from the aloe vera plant and collect its nutritious gel. Aloe gel might be the best medicine for skin allergy because it is so natural and gentle. Simply, apply the gel to the affected area on your skin and it should immediately feel better. The best way to harvest the gel from the leaf is to take a butter knife and cut off the flat skin off the top of the leaf. Then, you can take a spoon and use a little bit of force to get the gel to run against the knife. If you want, you can put the gel in the blender to make a natural skin allergy treatment. When it’s blended, it seems to absorb more easily into my skin. Apple cider vinegar is very effective as an antiseptic, anti-fungal and antibacterial that can soothe irritation on the skin. This stuff is also great for relieving your pet’s skin allergy. Just rub a little bit on your little dog or cat when they come in contact with their allergen. For yourself, just apply a few drops to your skin with a cotton ball. It is best to use raw and organic apple cider vinegar with a bottle that contains the mother strain inside of it. This stuff at the bottom of the bottle is a bacterial colony that creates raw enzymes and beneficial bacteria over time. As a tip, you can leave the bottle in a sunny spot for the mother colony to grow, making the apple cider vinegar healthier over time. It’s great as a drink too because there are so many internal benefits attributed to this vinegar. I love to dilute apple cider vinegar in fresh apple cider. It tastes really crisp and delicious for an apple drink. When treating your skin irritation, the best medicine is going to be the most gentle one. Raw oatmeal mixed with a liquid acts as a wonderful skin cleanser. If you have a rash, you can wash it with oatmeal cleanser or leave it on as a soothing treatment. Oatmeal has biological compounds called avenanthramides, which reduce inflammation. Humans have been applying oatmeal to their skin for thousands of years for its benefits. Remember, when you got chicken pox and your mom made you take a bath in oatmeal? That’s because it’s so great at soothing inflammation. Maybe our parents and ancestors were on to something with that. The instant oatmeal is actually gonna be what you want. The hard cut oats aren’t very gentle on your skin. This stuff works so nicely when mixed with warm water. You can take a nice warm bath with oatmeal in it or make a little paste in a bowl for more localized treatment on the body. So, if you have an allergic reaction on your skin, you can rub this paste on and it will stop itching and swelling. Baking soda mixed in a paste with water can act as a mild and gentle exfoliant that can get rid of dead skin cells. This will allow more oxygen to reach the surface of your skin and accelerate healing of the area. If you have an allergic reaction or eczema on your skin, simply mix soda baking soda with water and gently cleanse with the paste. This process can soothe inflammation and could reduce swelling if left on the skin for 10 minutes. If you have an area on the skin that is troublesome, try this simple home remedy once a day. You can also mix the baking soda with olive oil or coconut oil because they can offer your skin nutritious fatty acids. This makes for a great rub that you can leave on or rinse off. Using baking soda for skin care is a very inexpensive and convenient solution for a lot of conditions. The virgin forms of these oils can be very nutritious to your skin. Your outer skin layer’s cells contain an essential fat membrane that can absorb these oils. Sometimes if your skin cells lack fatty acids and antioxidants, you may start itching or breaking. Using virgin coconut oil or olive oil can supply your skin cells with vitamin E and essential fatty acids and saturated fats. 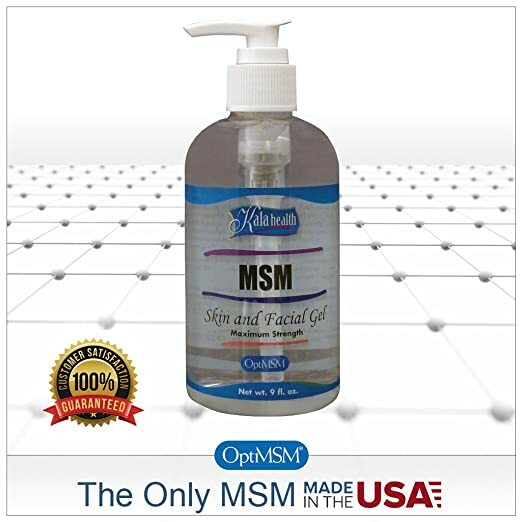 A very little known nutrient, MSM, is something that a large majority of people are deficient in. Due to the state of our soils, this nutrient that is actually bioavailable sulfur, is in low quantities in our soils. Since sulfur is an important mineral that supports proper function of the immune system, it is possible that an allergic reaction may be caused by a sulfur deficiency. This was definitely the case for me because I suffered from dry skin, severe food and seasonal allergies, and sleep problems. The first time I took a dose of MSM, I felt miles better. This MSM lotion is worth the money. It’s so soothing and moisturizing. Whenever my skin has an allergic reaction, it heals it within minutes. MSM is a great treatment for the root causes of allergies. It can effectively reduce inflammation caused by allergic reaction and preventing future allergic reactions. With it incorporated into a cream, it would be great to apply this stuff to your skin directly. That way, the mineral sulfur can be absorbed into your skin cells. If you’ve tried another skin allergy treatment home remedy, please tell me about it below! I have developed facial allergies since last few years. Almost once a year my face gets swollen with itchiness and red marks. I had my allergy test but that as normal. I take steroids for severe condition or/and with antihistamine. If someone could help me with any remedy/diagnosis that would be highly appreciated. Have any of the methods that I talk about working for me interest you at all? Perhaps you can let me know what you think about it. Thank you for the remedy recommendations. The oatmeal baths are most effective. Just a word of caution for people with severe allergies. Apple cider vinegar is a very high histamine food item as it is fermented. Anything fermented can cause worsening allergic reactions as it did for me. When the body is in an allergic state it is emparative to avoid high histamine products such as wine, beer, aged cheese, and vinegar products. I always have allergies on my skin when lemon touches it. For my skin allergy treatment home remedy seems to be the most gentle. I use a cream with aloe and vitamin e from cvs. I also have a skin allergy to lemon. A great natural remedy for skin allergies is any type of oil. I just rub on a little bit of coconut oil on the spot. Hey there and welcome to my site where we can discuss the scientific research about treating the root causes of allergies. I would love to tell the story of how I healed my allergies and spread awareness about the unconventional and strange methods that I used myself to better understand allergies. Please discuss your thoughts and ideas with me, I could really use the help! Think You Have A Dog Tapeworm as a Human? This site uses clickable ad units and affiliate links to help pay for website upkeep and helpful content. Readers are highly respected. Please support our content and efforts by taking advantage of these links or enjoy reading regardless if you’d like. Thank you so much.